Hey everyone, I'm new here, and don't know where else to search for a solution to this strange thing that's been happening. Now when I fired up FFX I got these settings. However, I have not changed anything, and the game runs like a dream. Solid 60fps at 1600 x 900 internal resolution. But why do I get these options and settings when every other game I play I don't and only get the "normal" settings/options? 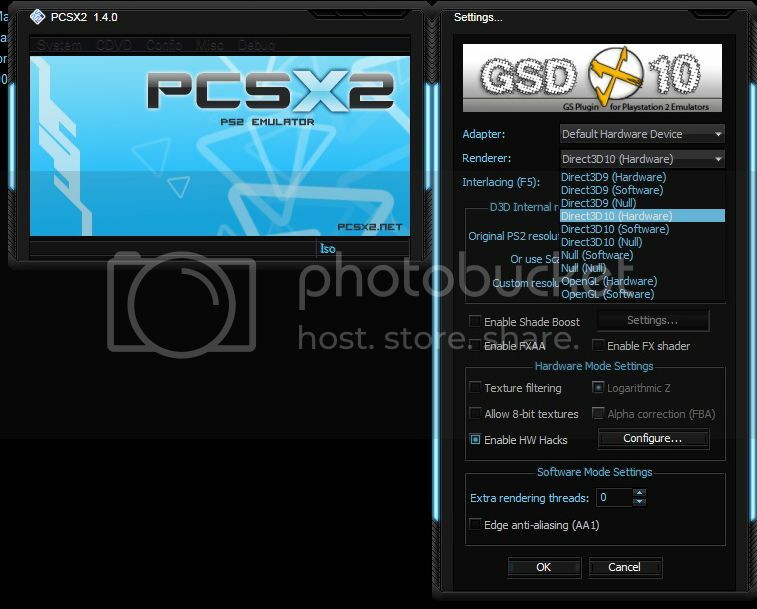 Is it maybe a software thing, that perhaps PCSX2 incorporate in their latest built specific custom settings for FFX? This is just too weird and I can't get these settings on my other games yet I can on this one?? I will be eternally grateful if anyone can solve this, as this is driving me right round the bend! You've changed GS plugin. The top one is a newer one than the bottom one. are you using some sort of frontend or do you have multiple copies of PCSX2 or something? Def looks like a frontend that's possibly using old(er) plugins and settings for FFX.